Are you going on holiday and want to bring your ski, golf-clubs, bicycle, snowboard or diving equipment? Have you just found out that your baggage allowance does not include your sport equipment? Do you want to send your ski, golf clubs, surfing or diving equipment at reasonable price? We can ship your bicycle, kayak or diving equipment! Sport equipment is very important for people that lead an active live or body-builders. If you like exercising yourself on regular, definitely you will not be throwing away your sport equipment when you are moving house overseas. You will still use them in your new home. Sporting equipment is available in a number of sizes, types and designs. Some are highly portable while some are very heavy and will require additional help to pack and load them to a removal van, plane or shipping container. Whether you have heavy or light sport equipment, it is important that you pack it very well before they are loaded in truck for shipping to Australia. Even the smallest and most portable sport tools can get damage or break or tear if it are not properly handled. We can ship your helmet, boots and ski to the NSW ski fields of Perisher and Thredbo or send a snowboard to Falls Creek, Mt Hotham and Mt Buller. Our international moving companies can ship to Sydney your golf clubs, deliver to Melbourne your hiking or fishing equipment or send to Brisbane your kayak, boat or SCUBA and Snorkeling Sea Scooters. Whatever sport equipment you want to move we are the shipping sporting equipment specialist that can offer you excess baggage and leisure equipment removals to anywhere in OZ at affordable shipping costs. There are some people that have a lot of sport tools. In some families, two or more people may be exercise buffs and each person has some particular tools he or she is using to work out on daily basis. Such a family will definitely have a lot of sport tools to pack when they are moving. If you are among any of these people, you should first group your sport tools. You may group them as you are using them or according to their sizes and weight. Whatever is the case, grouping your sport equipment will make packing and unpacking lots easier for you. Remember that shipping heavy golf clubs, weights, gym, exercise and fitness equipment would be more economical when shipped by sea. Lighter and smaller sporting gear like fishing rod, hiking gear, outdoor clothing and boots can be sent by air. There is the tendency for some people to simply put their sport equipment in the truck or van and moving them with their other items without keeping them in box. But this is not actually good. You have to pack these tools and put them in safe case. 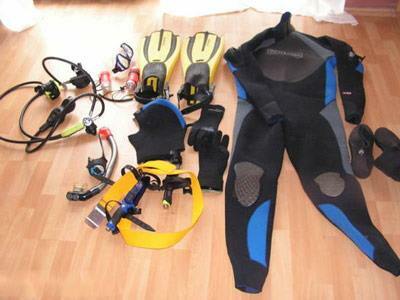 When packing the delicate scuba diving or swimming equipment, you have to arrange them as if you are going for practice, game and a meeting. Each sport tool in your home has its own original boxes. So, you have to first of all put them in cartoon boxes containing them when they were bought. In this manner, you will find it easy packing and unpacking your sport tools. Sport equipment is expensive if you do not have the original boxes and have no idea how to pack it you can ask us to pack it. 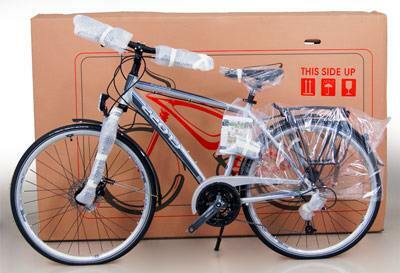 Shipping bicycles, golf clubs, ski equipment can be done with no risk of damage. We have special cases, boxes and know the moving techniques adequate for sporting gear. 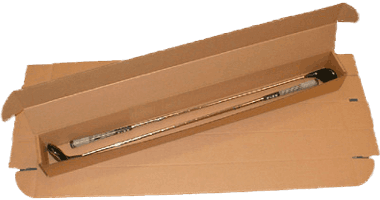 After packing the item with the original cartons they came with when you buy them newly, you have to pack them again in a shipping box before they are moved. Don’t use very large shipping box to pack all the items. This is because it may be too heavy for you or the person helping you to lift them and put on the truck. Also it may fall apart as most packaging has been design for shipping sport equipment up to 25kg. Now that you have all your sport equipment ready for sending abroad, you should look for a reliable shipping company to move it to the right destination if your luggage weight is not the right weight allowed by the airline you are using their services. But if it is above the required weight, there is no cause for alarm. You can call on us to help you out in that regard. We have been offering international sport equipment removals across the world to different families and individuals moving house. Businesses that owned gym should call on us. Whether you are need bicycle moving overseas, golf club shipping or sending ski from the UK to Australia, we are available to help you. We are highly reliable and reputable. This is why a lot of people moving their sport equipment and other items make use of our services. The keep referring other people and their friends to us because they were satisfied with the quality of services we offer. We will keep satisfying our clients. Become one of your clients today and you will never regret your decision to hire our services. We guarantee you 100% satisfaction. Your canoe, boat, bicycle, Sea Doo Dolphin Sea Scooter will be shipped and delivered with at most care. We know that you value your sport equipment and that is why you want to travel with it. In order to ensure that we meet your requirement, we have built strong teams of dedicated movers who don’t joke with the items our clients handed over to our care. We have no negative records in our history. Over the years, we have succeeded in building a team of workers. They will always cooperate with you and work briskly in the various office.